The team of scientists have uncovered the reptile fossil which have a length of almost four meters that once inhabited the oceans some 170 million years ago. 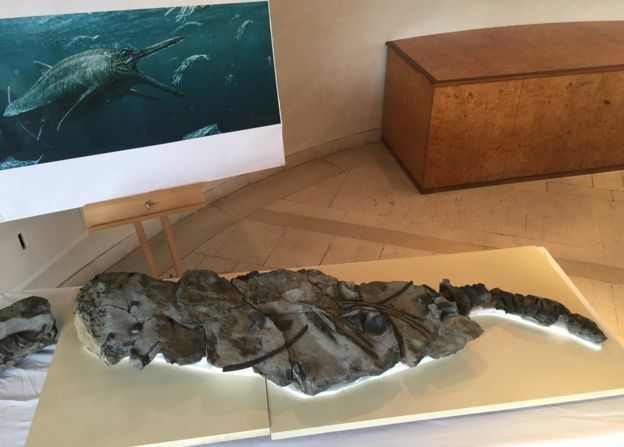 The fossil, dubbed the Storr Lochs Monster, an almost intact Ichthyosaur skeleton. 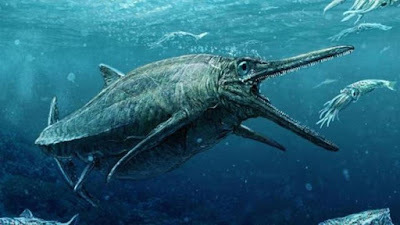 Ichthyosaur are a family of marine extinct reptiles that lived in the Jurasic era. Such creatures like dolphins at that time; fast swimmers with a narrow snout and long, as well as the perfect cone-shaped teeth for eating fish and squid. Storr Lochs is the most complete specimens of marine reptile fossils that found in Scotland from the Jurasic era. For decades, the skeleton preserved in very hard rock. 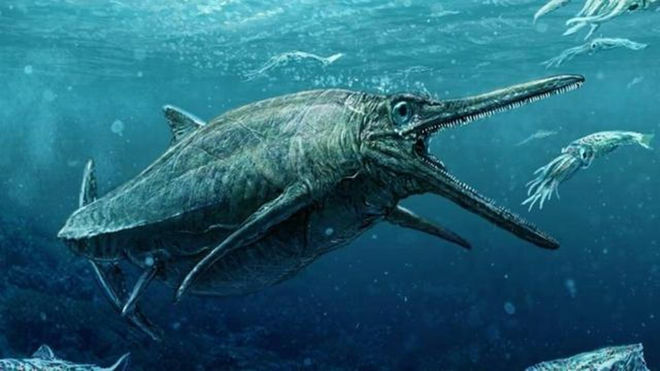 "Although some people think that there are sea monsters that are still alive in the lake up to now, there are actually a sea monster who lived here more than a hundred million years ago," said Stephen Brusatte, principal investigator of the University of Edinburgh who analyzed the fossils. The fossil was discovered by amateur fossil collector, Norrie Gillies in the summer of 1966 on the island of Skye, Scotland. Then, he contacted the Royal Scottish Museum, which immediately sent a team of investigators a few weeks later to make sure and remove the fossil. For decades, Gillies who works as a manager at the SEE energy company, kept in touch with the museum to know the progress of fossils. But until he died in 2011 at the age of 93 years, the specimen was still not successfully separated from the stone. Gillies never see the full picture of a creature whose fossil he found. Maintaining the fossil remains in the stone is very appropriate action. Because, fossils trapped in sedimentary rocks that hardened when a lava flow coating Skye Island during the Paleocene era, about 66-56 million years ago. Separating it from the rocks without the use of equipment or expertise that may cause damage to the fossil. Slowly but sure, the Storr Lorchs Monster Mystery solved, thanks to the cooperation between the University of Edinburgh, the Scottish National Museum and SEE energy company. The researchers finally succeeded in separating the skeletal remains of Ichthyosaur surrounding rock for millions of years. 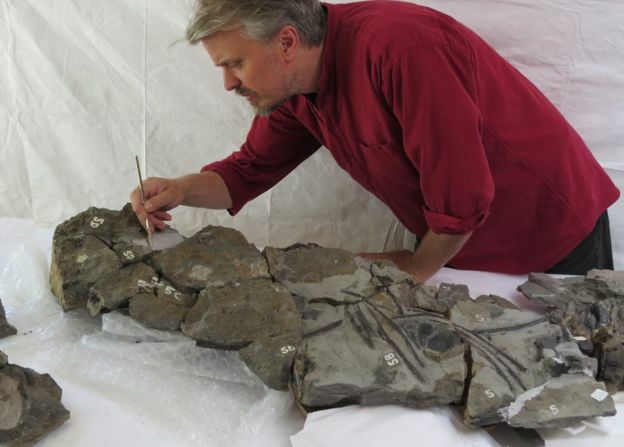 Now, after these fossils have been separated completely, paleontologists can tell whether this Ichthyosaur species included in the existing, or a new species. The finding also provides the key data that refers to the Middle Jurassic. In this era, the fossils record are very a little. "In the era of the Middle Jurassic, in the oceans there seems to be a massive shift between the smaller reptiles and primitive reptile with a large group," said Brusatte.